Wow! You can own a Valley pool table, just like the pool tables that you play in the local Bar/Tavern. 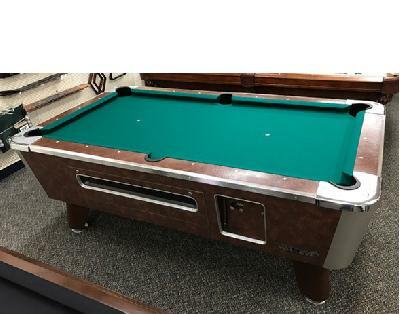 Pool Tables start at $795.00 and are complete and in working condition. We will recondition & upgrade to your specifications. Upgrade options available - New cloth/felt, New cushion rails, New Rail trim, New trim molding set(ball view door, triangle opening, coin door, ball return box), New Pocket Liners, and New Gulley Boots. This item is not shipable, for pick up & local delivery only. Price includes a pool ball set, 2 cue sticks and a triangle.